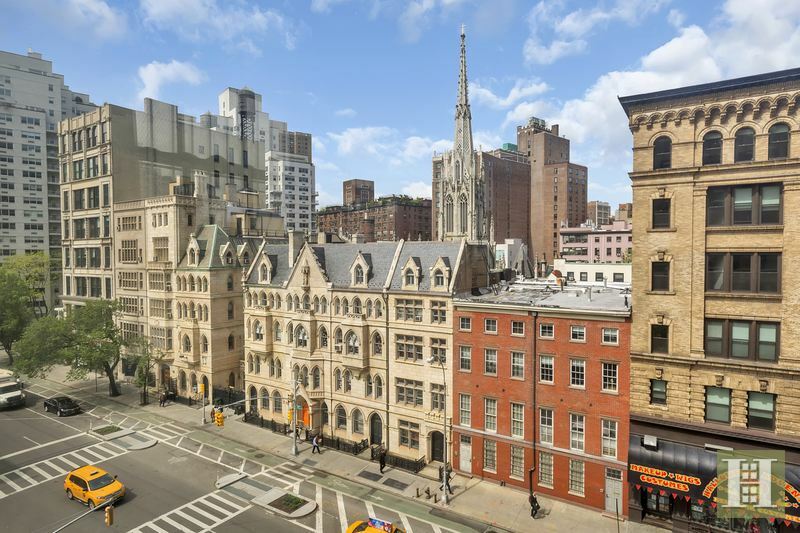 The International Tailoring Company Building, located at 111 Fourth Avenue in Greenwich Village, is historic and stately from the outside, light and lofty from the inside. 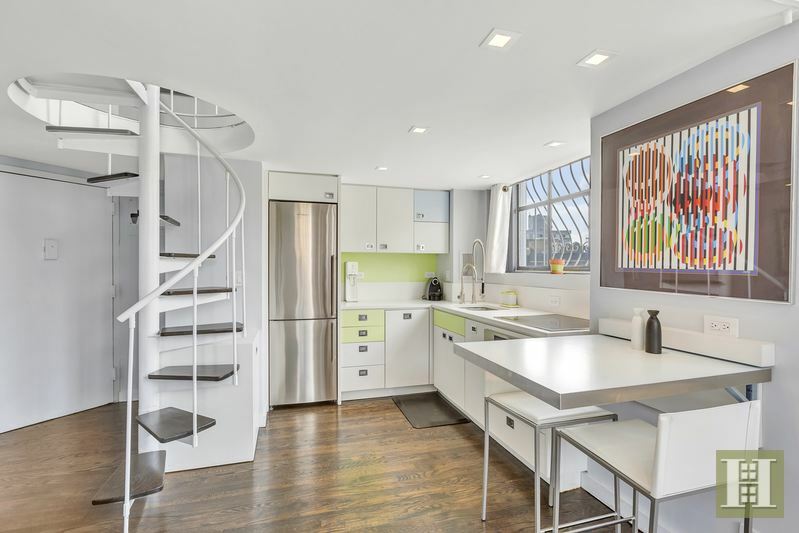 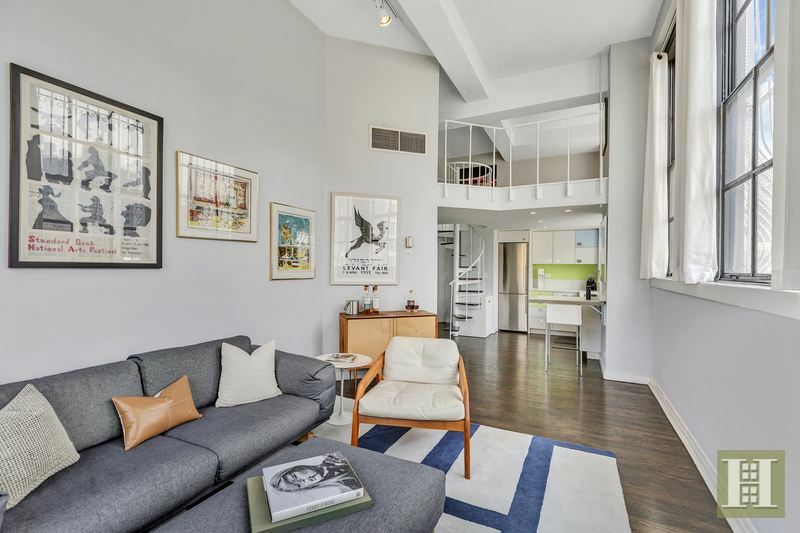 It’s been converted into co-op apartments, and this one-bedroom duplex is now on the market for $1.3 million. 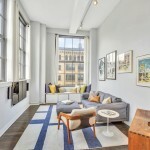 Its attributes include 13-foot ceilings, six original industrial casement windows–two of which are 10 feet tall, the other four are eight feet tall–and views of sky and the city skyline. 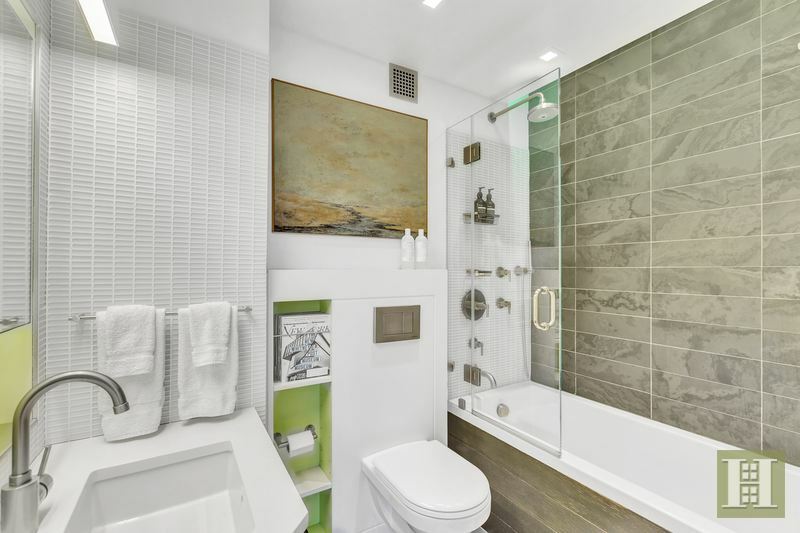 A recent renovation brought in some modern-day luxuries as well. 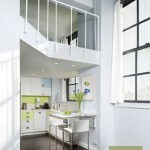 A lofted sleeping alcove is perched above the kitchen, accessed by a spiral staircase. 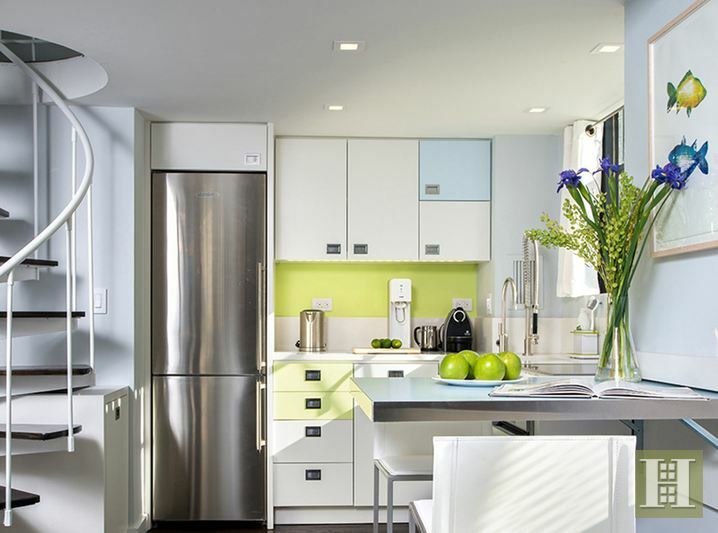 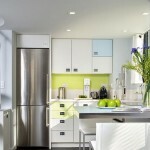 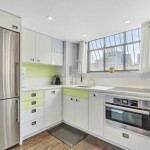 The corner kitchen, which also gets light from its own window, has been renovated with custom, geometric cabinets. 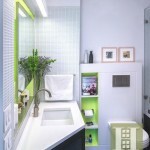 To save space, the table expands from its wall mount. 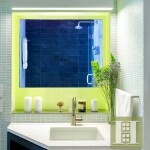 The master bedroom and bathroom are located on the lower level. 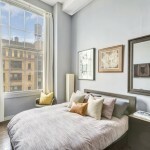 Perks to the bedroom include a large, custom-designed walk-in closet and noise-proof windows. 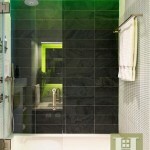 As for the bathroom, there is a deep soaking tub, mosaic tile backsplash and natural slate flooring and shower wall. 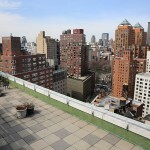 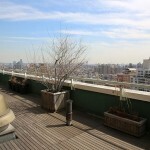 Residents of this apartment get wonderful views from both inside the pad and from the two shared, landscaped roof decks. 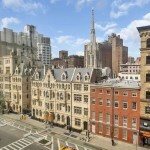 All those casement windows have exposures to the west and south, with city views that include the historic Grace Church. 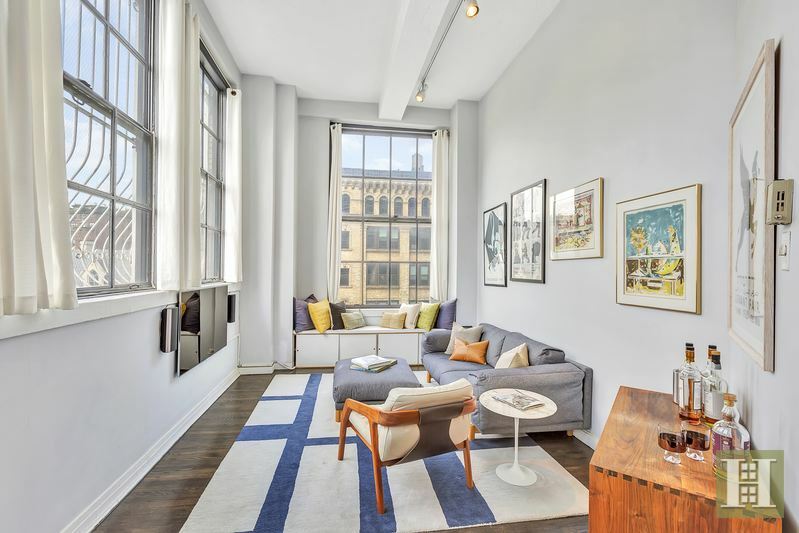 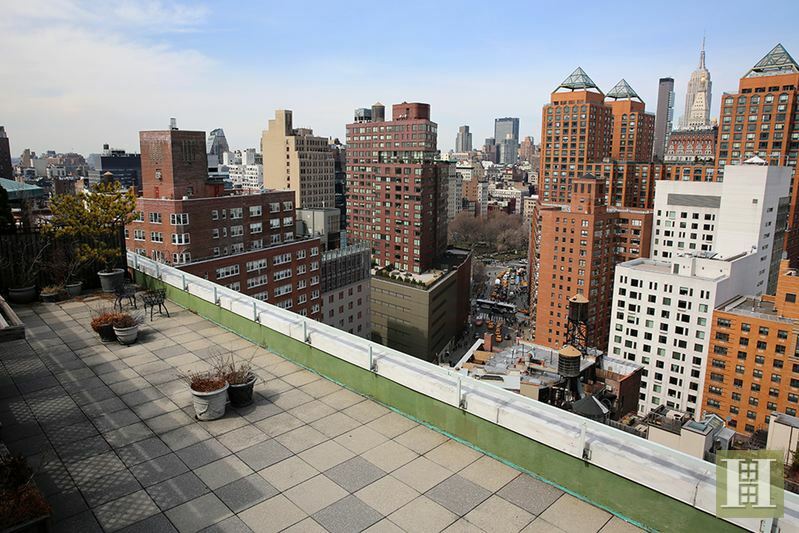 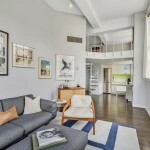 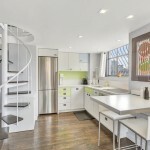 For comparison, check out this $2.5 million co-op in the building that hit the market this March. 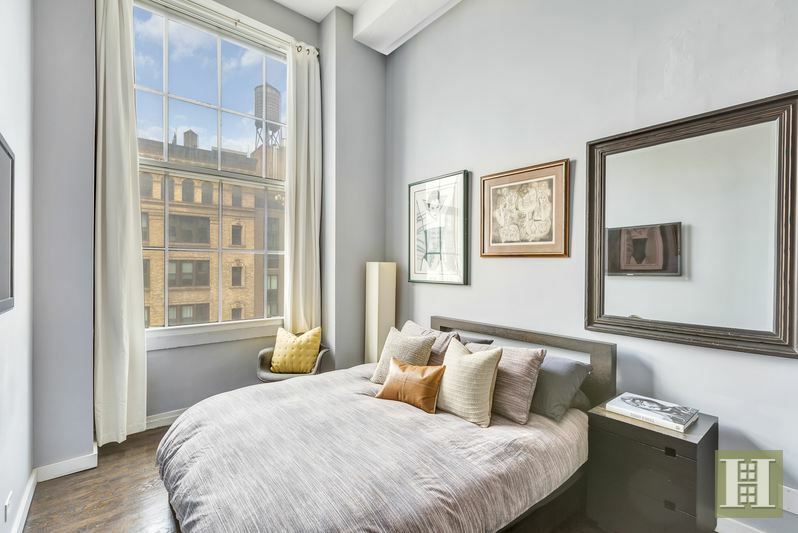 More square footage and even more windows account for the higher price tag, but views from both apartments are both impressive.